I think the entire reading community is becoming aware of the rising popularity of audiobooks. What's not to like? In this world, it's multitask or die, right? But I've been horrified recently to read so many comments and posts by authors who are thinking of producing their own audiobooks… and who think that that actually means that they have to do the recording and production themselves. NO! NO! NO!! Why would anyone want to take on that kind of work when there's the Audiobook Creation Exchange (ACX)? 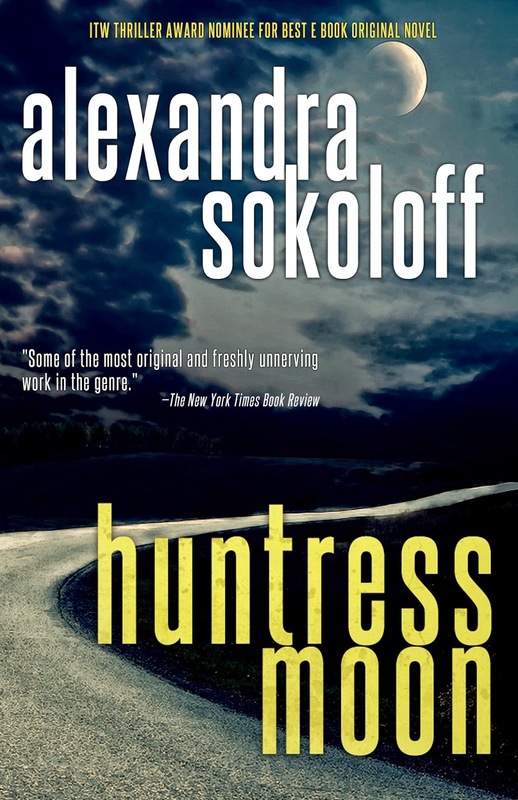 I used ACX to produce an audiobook of the first book of my Thriller Award-nominated Huntress Moon series. I'm reposting my blog about it below in the hope of convincing other authors to check out ACX and add this very robust income stream to their earnings. I also am thrilled to announce that last month Huntress Moon and my terrific narrator, RC Bray won a Voice Arts Award for Best Audiobook Narration, Mystery & Thriller! ACX has thousands of professional and highly experienced actor-producers already signed up for the program. When you start an audio book, you choose a five-minute segment of your book for actors to audition with and upload that to the ACX site, and specify the qualities of voice that you're looking for (comic, brooding, spooky, etc.) You choose whether you'll pay the narrator a flat fee yourself, or do a royalty share deal, which means you split the royalties with your narrator/producer and pay NO up front cost yourself (that's ZERO) - except for the minimal fee you'll have to pay your book cover designer to retool the size of the book cover to audiobook specifications). Then the project gets posted to ACX's entire stable of actor-producers, and immediately auditions start coming in. You can also browse for actors yourself by searching vocal and tonal qualities and listening to samples. I was having flashbacks to my directing days as I listened to over three dozen auditions. (I know, yike - but you don't have to listen to the whole audition to know if a narrator is in the running). I actually found my terrific narrator, RC Bray, myself, by searching auditions on the site (Bob is also the narrator of the blockbuster audio The Martian, among other titles). I was blown away by Bob's vocal range (just wait till you hear his reading of Epps! ), and the way he's able to convey theme and suspense in his reading. Bob loved Huntress and signed up to do the book immediately, and he's such a professional that we had no problem working together by e mail. I could ask him to do something in a slightly different way and he'd instantly get it. I'm thrilled with the book and I hope you audiobook listeners will be, too. I've really enjoyed working on the audio version of Huntress, though I have to warn it's a lot of work if you decide to be hands on about it, the way that I was - former theater director, you know. But you can also just put it in the hands of your producer/narrator - if they're ACX approved, they really do know what they're doing. And ACX's team was incredibly supportive and helpful - any time I hit a snag or didn't understand a step in the process, I could contact the support team and get talked through it. I know other authors opt to make audio deals with great companies like Audible rather than taking on production themselves, but I love that I'm now making the lion's share of profit from this book. I think maybe a mix of self-produced and publisher-produced books might be the way to go, just as a hybrid mix of indie published and traditionally published books can be the most profitable (and manageable!) route for authors these days. I have audiobooks of Blood Moon and Cold Moon out from Thomas & Mercer, produced by Audible.com and narrated by Bob Bray, but I'm also releasing two more through ACX, Book of Shadows and The Unseen, which I will be posting about as soon as they're available. I highly recommend that all authors check out the ACX site and read about how the process works. And it should go without saying, but I'm saying it anyway - if you don't listen to audiobooks yourself, it really helps to spend some time listening to audiobook samples in your own genre. Every Audible.com audiobook has a four-minute audio sample on its product page. Of course I'd love to hear from others of you who have worked on your own audiobooks! What was your experience? Special Agent Matthew Roarke thought he knew what evil was.